The following cases have been dealt with at Warwickshire Magistrates Court in Leamington. 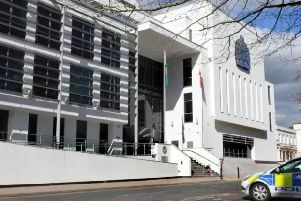 Gemma Elizabeth Tyler, 24, of Kingsway, Leamington, was given a community order with a drug rehabilitation requirement and ordered to pay £220 costs for two counts of theft and for the commission of a further offence while being the subject of a conditional discharge order. Dean Robert Alton, 41, of Fallow Hill, Leamington, was jailed for 20 weeks and ordered to pay £1,250 compensation for five counts of theft. Carl Clarke, 36, of Fallow Hill, Leamington, was jailed for 20 weeks and ordered to pay £1,250 for five counts of theft. Robert Lester Groves, 38, of Windmill Road, Leamington, was jailed for 26 weeks and ordered to pay £115 costs for three counts of theft, attempted theft and fraud. Fleur Juliette Sullivan, 37, of Campriano Drive, Warwick, was given a six-month conditional discharge and ordered to pay £70 costs for theft. Lars John Arthur Gerard, 24, of Cross Road, Leamington, was fined £113 and ordered to pay £165 costs for criminal damage and assault. Grzegorz Jan Wanicki, 34, was jailed for eight weeks and ordered to pay £115 compensation for assaulting a police officer in the execution of her duty and for being drunk and disorderly.